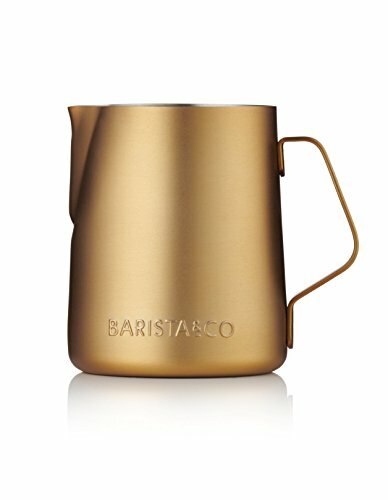 Serve your guests with this luxury milk jug from Barista & Co. Perfect for serving milk at the dining table or during a morning coffee break, this jug has a 350ml capacity. Made from stainless steel, it features the Barista & Co logo and a large handle for easy pouring. A spectacular addition to any kitchen, available alongside other coordinating coffee accessories. If you have any questions about this product by Barista, contact us by completing and submitting the form below. If you are looking for a specif part number, please include it with your message.